While there wasn’t much flash to Deryk Engelland’s game, it was simplicity that made him a success during his Moose Jaw days. As Deryk Engelland delivered an emotional speech in front of 18,191 fans before the Vegas Golden Knights first-ever NHL home game, Curtis Hunt sat in front of his television in Saskatchewan, marveling at the player he coached over 15 years ago. 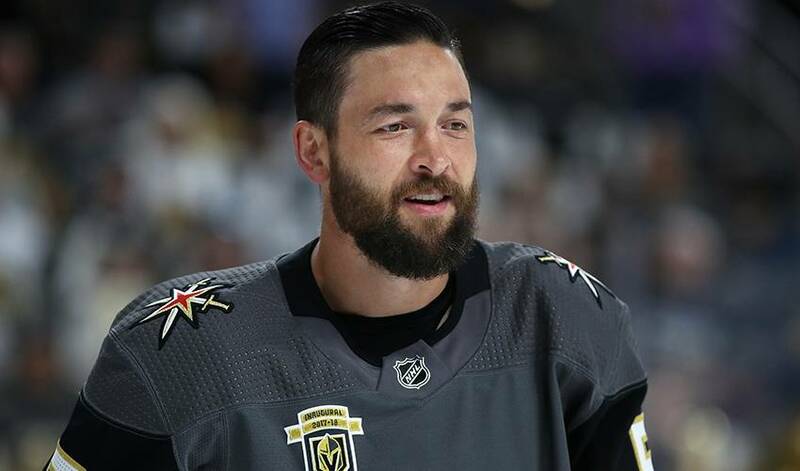 Although they haven’t kept in touch since the 2002-03 Western Hockey League (WHL) season, the one in which Hunt was the Moose Jaw bench boss and Engelland the Warriors tough-as-nails defenceman, there was a “fatherly-type pride” when the veteran blueliner and Vegas resident, microphone in hand, addressed the crowd in the wake of the mass shooting that took place on the Las Vegas Strip on October 1, 2017. Hunt, whose first full season coaching Moose Jaw came in 2002-03, was immediately impressed by the rugged blueliner. Off the ice, the quiet blueliner also had his teammates’ backs. “He was a guy that worked hard, stayed to himself, but did the right things,” recalled Hunt, who was named the 10th general manager of the WHL’s Prince Albert Raiders in 2015, the team he won the Memorial Cup with 30 year earlier. In 2002-03, Engelland’s final season with the Warriors, the strapping defenceman played a big role in helping the team make it to the second round of the playoffs. While there wasn’t much flash to Engelland’s game, it was simplicity that made him a success during his Moose Jaw days. It was one memory, among many, that came to Hunt’s mind the night Engelland, who has also played with Pittsburgh and Calgary during his time in the NHL, spoke to the nearly 19,000 people packed into T-Mobile Arena in Las Vegas last October. And still doing the things that put a smile on his former coach’s face.